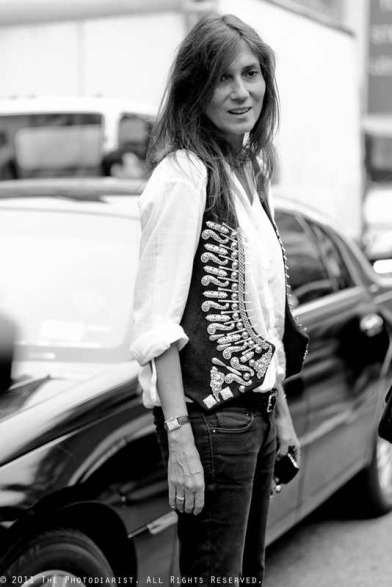 The epitome of grace under pressure, Emmanuelle Alt has really aced NY Fashion Week with her new assistant Capucine Safyurtlu, not just with her composure but with her cool, casual wardrobe. Before she was named Editor in Chief of French Vogue, her look was super sporty. Now it has evolved to something more sophisticated but still entirely her own, like this combination of crisp blue button down, white jeans and Hermes bracelet watch. Simple but perfect.